What could go wrong is she could pass out and have a wreck, and that's exactly what happened. There were 12 special needs children on the bus when it happened. No children were injured, thank goodness. Byrd was transporting the children home in a snowstorm at the time. She had to be revived with Narcan, and was then charged with 12 counts of endangering the welfare of a child, driving while impaired and possession of drug paraphernalia. Officials said Byrd's driver's license was suspended from 1996 to 2006, though they did not specify why it was revoked. F & A Transportation who employs her had no comment. Don't forget to go to the link and watch her roll that bus across a busy street. I duped crys_xoxo, so this one should get merged soon. According to the Newark Police Department, officers responded to a crash at the corner of 14th Avenue and Jones Street at around 1 p.m. A school bus had crashed into a tree. 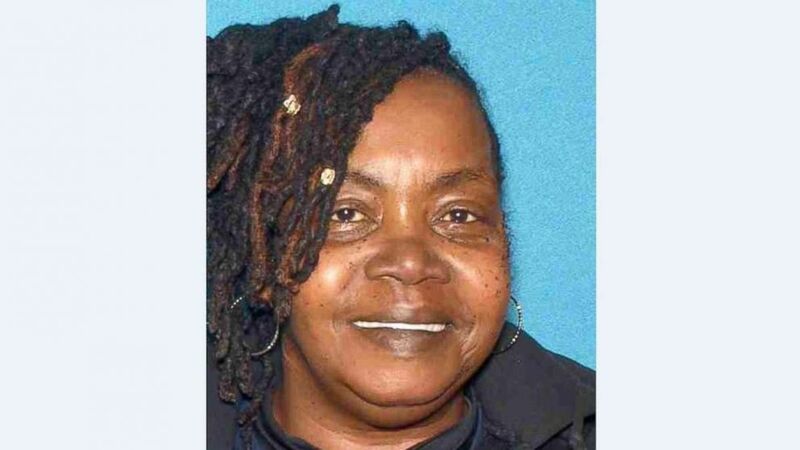 The bus driver, Lisa Byrd, was found unconscious at the wheel. Police said first responders administered Narcan to Byrd to reverse an apparent opioid overdose before she was transported to University Hospital for treatment. There were 12 special needs students, ages 5 to 13, onboard the bus at the time, although none were injured. Now, the 57-year-old is facing charges of 12 counts of endangering the welfare of a child, in addition to driving while impaired and possession of drug paraphernalia. F&A Transportation, where Byrd was reportedly employed, could not be reached by Yahoo Lifestyle for comment. I wonder how many people I brush elbows with that are trying to live normal and to do it they have to chase that monkey every day. Or get dope sick. It's really a sad thought. It said that the school subcontracted the bus driving out to another company and that this particular person had lost her license to operate for 10 years, who in the hell would hire someone who had been suspended from driving for 10 years to drive anyone, but definitely to drive small children around on snowy streets. I think the subcontractor needs to answer some very pointed questions too. My license was suspended from Jan 2011 to May 2014 for an unpaid no insurance ticket. In 2018 I worked for a short time for Professional Transport Inc driving Railroad crews to and from sites. The criteria was that I had to have a clean record for 5 years. I would imagine that the company she worked for was the same. Anything on your driving record comes off after a certain amount of time. So I doubt it showed up. Wow, this woman obviously has no regard for the safety of children. There should be a way to flag her record for that. A miracle none of the children were hurt, I bet they were all sh*tting their pants though. Poor babies. I mean, come on!! Even Otto the Bus Driver would know better! But to shoot up herion and think you’re gonna be able to drive anyone let alone transport someone else’s special needs kid? Someone needs to give this junkie a hot dose and be done with it! AMazing they would hire someone with her history to transport children. Hope that company has some deep pockets cuz thee parents of these kids are gonna lawyer up and go nuts, and i hope they destroy em. Genuinely confused as to why authorities used narcan on her. Not sure i understand why it serves societys interests to bring this drug addict back to life.